There’s a small city in Nord-Pas-de-Calais called Caudry. This is where the heart of French lacemaking is beating. Generations of its citizens have been working on complicated Leavers lace looms and perfecting their art. Lots of laces in our shop come from the small factory founded in Caudry by Jean Bracq in 1889. 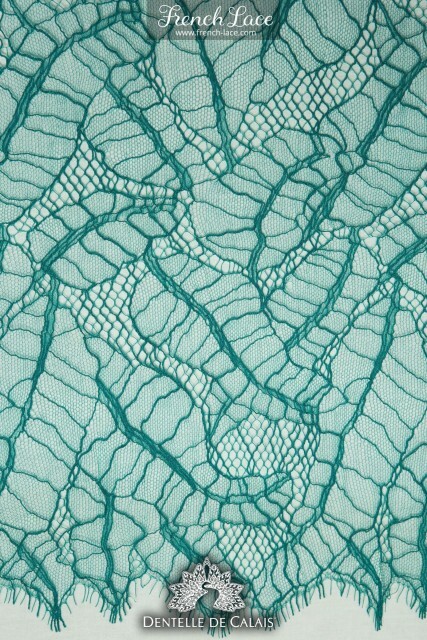 Click here to know a little more about history of french lace and Jean Bracq. 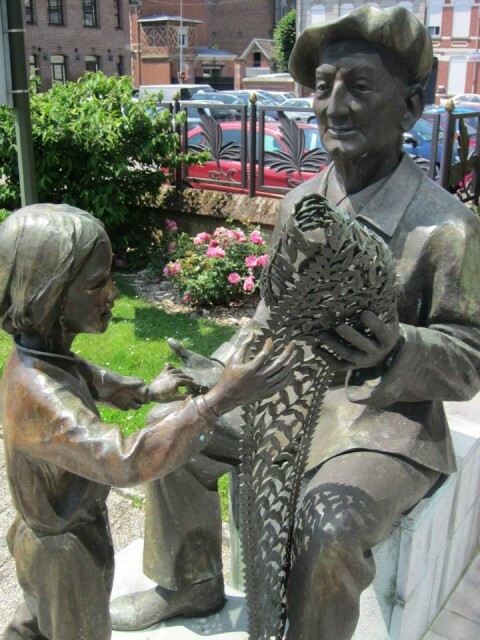 And in the city center you can find a Museum of French lace with a sculpture representing Julien Bracq (1889-1990). It was offered to the museum by his son Jean Bracq and now you can find it near the front doors there. 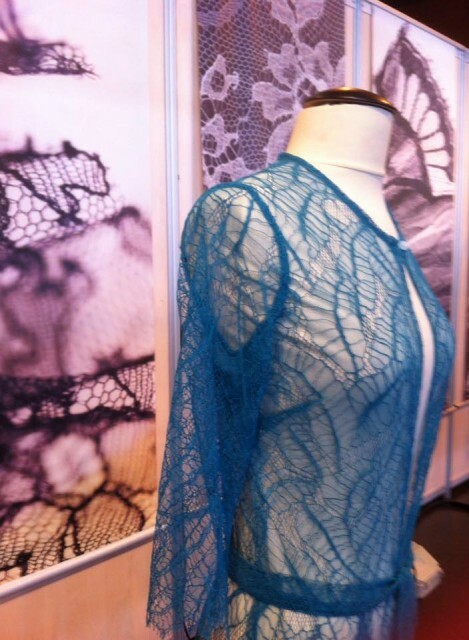 Here we want to show how different and amazing french laces are! Modern and unusual Leavers lace, Ref: Nancy in our shop. 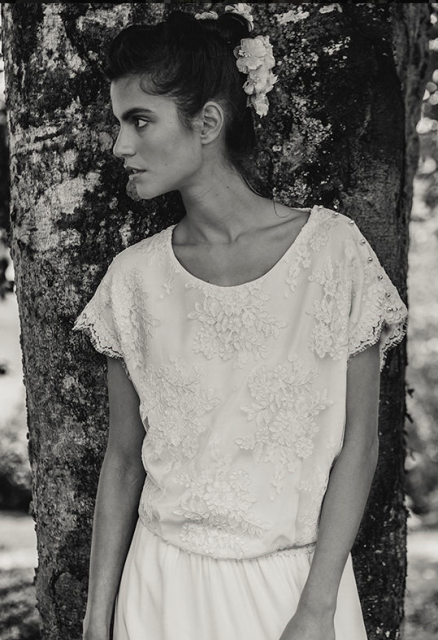 Top in Dentelles Jean Bracq by Laure de Sagazan. Delicate and sensual crop top by Shell Belle Couture. Here you can find such narrow laces in our shop. Very pretty dress in Dentelles Jean Bracq by Marion Lecomte creative. 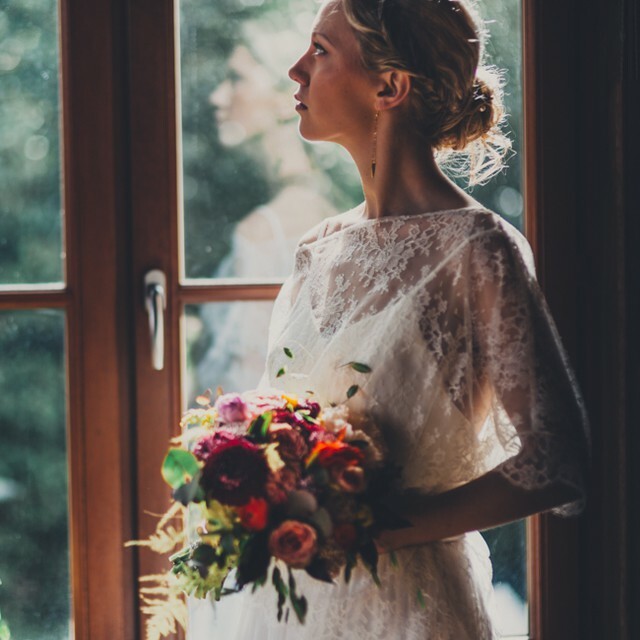 Exquisite ivory white Ines Di Santo Breeze gown. Mistinguett And Gatsby in wonderful Chantilly Lace of Jean Bracq. 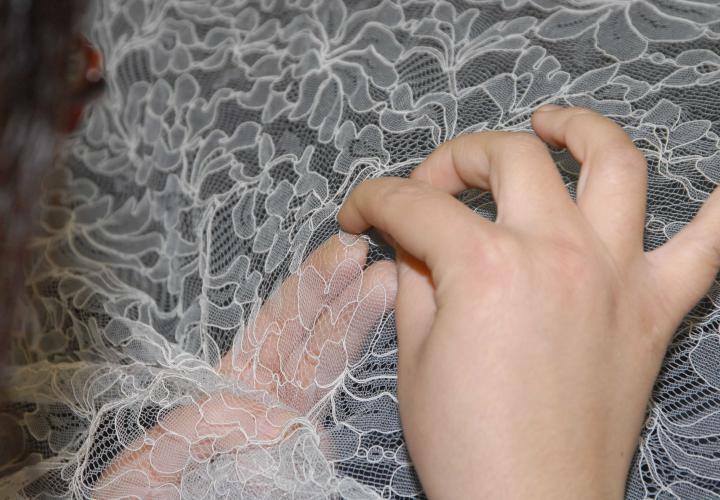 Look how delicate can lace be… Every piece comes from a 10-ton roaring 19th century machine and then patiently and with love mended by hand. This entry was posted in History of lace, Lace inspiration, Wedding laces and tagged bridal, Caudry, chantilly, chantilly lace, dentelle, Dentelle de Calais, Elise Anderegg, Ines Di Santo, Jean Bracq, lace top, Laure de Sagazan, lingerie, Marion Lecomte, Shell Belle Couture, wedding, white lace dress.